Royal Portrush has a special place in the history of Irish golf, since its Dunluce Links course is the only golf course outside Great Britain to host the Open Championship (in 1951 when Max Faulkner was victorious). 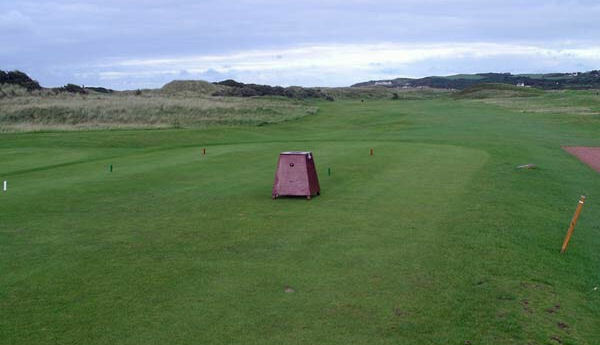 In 2003, it hosted the Ladies' British Open Amateur Stroke Play Championship and in July each year its hosts the North of Ireland Amateur Open Championship. The Valley Links course is certainly not a warm-up course by any means. It is a little bit shorter than the Dunluce Links but just as tough, featuring the same tight fairways, rolling fairways and stunning links greens. Both are considered a 'great pair' and a wonderful compliment to each other. 1 hour from Belfast Airport. Follow road to Ballymoney then follow signs to Portrush.